For those who want to know or learn more about the culinary culture of the Marches, our olive oil workshops offer a few hours on recognition techniques and evaluation of the organoleptic characteristics of extra virgin olive oil. These courses are held by the landlord, official taster in 2003, and will give you plus a very special sensory journey, that will provide you with the ability to distinguish the quality of extra virgin olive oil, once you return home. 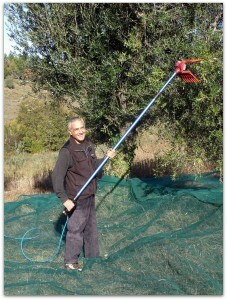 During the olive harvest (late October-November), we can arrange 3 or 4 day packages for an olive-centered holiday. Guests can participate in the collection, witness the crushing of the olives at the mill, see how a real extra virgin olive oil is produced and will learn to evaluate the oil just pressed on and taste dishes that highlight this precious commodity. Day 3: Breakfast, free-time, afternoon- workshop : Olive Oil appreciation/ how to recognize a quality-extra- virgin olive oil, followed by slow food dinner at Fontechiara. 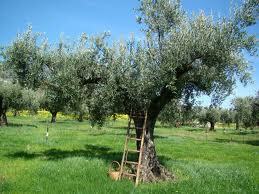 Day 4: Breakfast, followed by a visit to the “frantoio” or olive press, dinner with typical dishes and new olive oil. It’s also possible to make part of the workshop about olive-oil, learning how to value a good extra vergin olive oil and much more in an afternoon-session and tasting some typical dishes for dinner. Agriturismo Fontechiara is located in Treia in the province of Macerata in the region of Le Marche in central Italy. We offer B&B or bed and breakfast holidays or for lovers of slow food there are half board or all inclusive holidays. A vacation at Fontechiara allows you to sample ecotourism, locally grown food, our own organic produce, home cooking and great Le Marche wines in a restored farmhouse with stylishly furnished rooms and excellent facilities including a swimming pool. We offer yoga retreats, horse riding holidays, fishing holidays, Italian lessons, olive oil holidays, we offer a dog sitting service and are ideally located for sports and outlet shopping. Le Marche has fantastic beaches, mountains, nature, history, art, activities and more. Please check out our reasonable prices or contact us for more information or to book.